Home » WHAT DERMAL FILLER IS RIGHT FOR YOU? As people age, they may notice that their skin becomes less elastic and less youthful looking. This can be frustrating. Fortunately, there is a solution. Today’s consumers can turn to dermal fillers for help. Dermal fillers have been developed by skilled medical professionals. They help to reduce the problems that reduced levels of collagen and fat can create. Made from hyaluronic acid (a non-animal based natural material already found in your own body), they have long proved effective at offering patients better looking skin. Fillers also have other advantages. They can help reduce acne scars and even make your lips look fuller. Savvy consumers will find varied types of fillers that might work for them. Each one is right for a different kind of circumstance. Be aware that fillers are injected and will last for about four months. This is injected gel. Many people like this kind of gel because the effects tend to be immediate and will often show up right after the injection is completed. They also like it because it looks and feels natural, blending in well with the patient’s own skin. After the injection, you will seen a reduction in the appearance of fine lines and wrinkles. Another popular type of dermal filler is Bellafill. 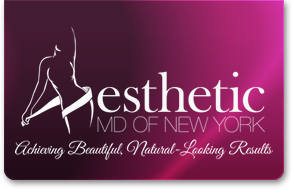 This form of injectable has become increasingly popular. Many people like it, because unlike some other forms of dermal fillers, this one is considered to be semi-permanent. Unlike some other kinds of dermal fillers, with this one you can expect treatment to last five years or even longer. However, this kind of dermal filler also some mild disadvantages. You may experience firmness and swelling. Be aware that it will take medical help if you later decide you want to have it removed from your body. Many plastic surgeon professionals recommend this form of dermal filler. Radiesse is best for those patients who have deeper areas of sunken skin and wrinkles. The material is injected into the skin where it then fills in the wrinkles. This kind of dermal filler has multiple advantages. It should last at least a year. You can have it done quickly and see results within a short time. Juvederm is one of the newest treatments on the market. This one has been extensively clinically tested. It is minimally invasive meaning that it can done without any need to resort to prolonged treatment. This kind of dermal filler will also typically last from nine months to a year, meaning that it will last longer than several other kinds of dermal fillers. However, it is still not a permanent treatment. You may need to repeat it every year.